We are familiar with how Irish people responded to the threat of conscription during the First World War , with a mass campaign of resistance which prevented it’s introduction here. This event will look in detail at how the same threat was faced in Britain , by individuals and organisations who showed great courage in resisting, while faced not just with propaganda , harassment and violence , but also the legal threat of imprisonment and even the death penalty. Come and hear two excellent speakers, who will also talk about the ‘underground railway’ to Ireland and the Irish anti-conscription movement. This talk by Lois S. Bibbings will give an overview of the legal regime which oversaw volunteerism and conscription. It will look at conventional ideas about objectors alongside an exploration of who these men (and women) were, what they did and why, what happened to them and how they were viewed. A complex picture emerges which takes us a long way from stereotypical images of objectors as simply, for example, despised, rejected, unmanly, lacking courage and/or devotedly religious. 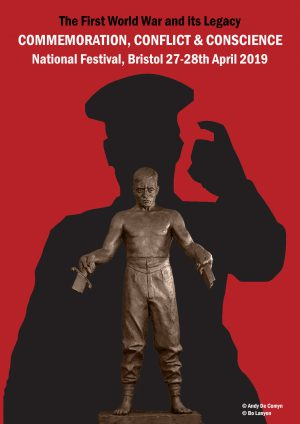 This talk by Cyril Pearce will explore a largely ignored aspect of anti military resistance.From the introduction of conscription in 1916 to the end of the war each year at least 80,000 men were reported missing as deserters or absentees from the British army’s home forces. 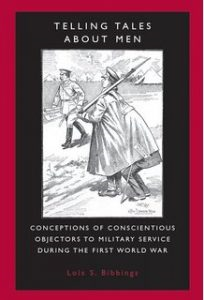 Among them was an unquantifiable number of men who identified themselves as Conscientious Objectors. 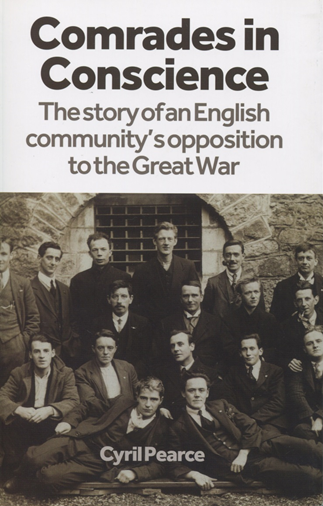 Some of their stories involved Ireland as a Conscription-free place of refuge. They also involved collaboration with Irish rebels in obtaining passage to America. Their stories of temporary or permanent escape are a part of the history of Britain’s 1914-18 war resisters which has been largely ignored. 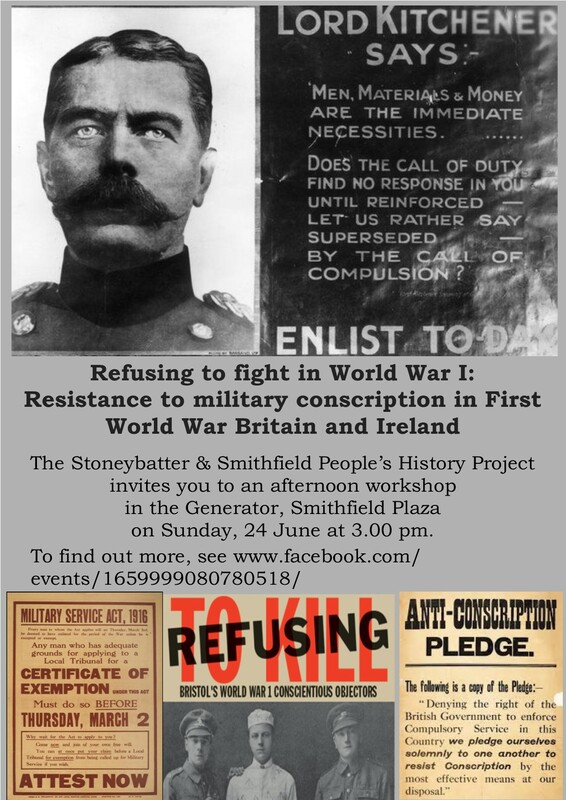 This event is part of a co-operative project between the East Wall History Group , the Stoneybatter & Smithfield Peoples History Project and the Bristol Radical History Group . Supported by Dublin City Council Decade of Commemorations Fund for Communities .